Quartz countertops are a beautiful choice for any kitchen if you're looking for an elegant and vibrant look. Quartz countertops, unlike most other natural stones, can be crafted to achieve a certain preferred appearance, and bring elegance and warmth to your kitchen area, as well as your entire living area. 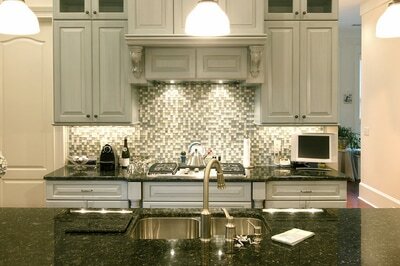 At Stone World, we are experts in the installation of quartz countertops in Orlando and all of Central Florida. We work closely with our clients to ensure we are installing exactly what their vision happens to be, and the job is never done until you are fully satisfied with the final product. Our goal is to transform your living area with our beautiful and elegant natural stone installations, and our many years of experience will result in a successful project. Quartz countertops are a resistant and durable natural stone, and also a beautiful and inviting look anywhere in your home that you decide to install these stunning countertops. We have installed these beautiful countertops throughout Central Florida, and they are a very inviting look that generally works well with any home decor. So no matter your color scheme or taste in home decor, quartz countertops are going to be a great decision that will add richness and elegance to any home. 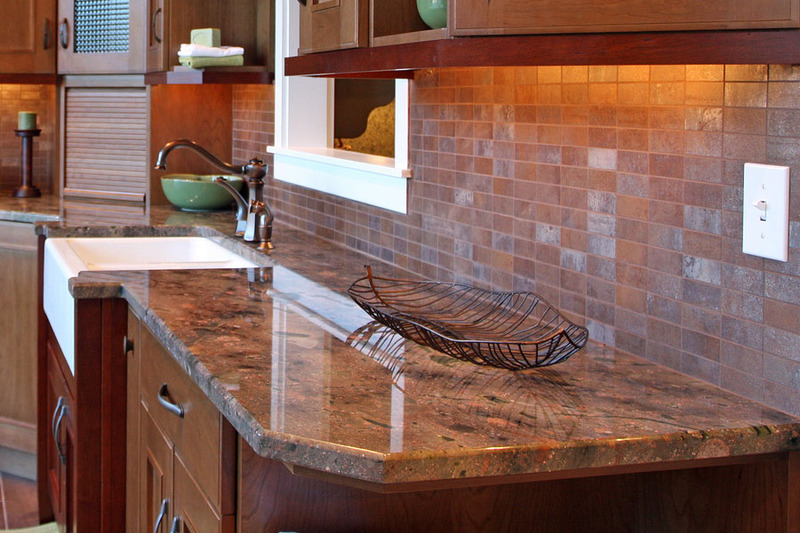 One of the greatest features of the quartz material is that it offers a lot of color choices. Because of this, you can easily match it to whatever theme you already have for your home or office. 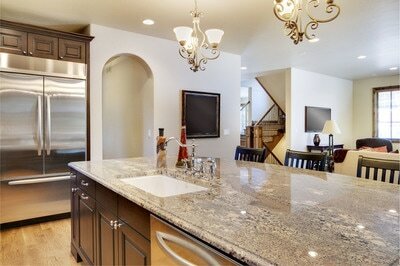 Even better, there are quartz countertops with lovely patterns to choose from. For instance, the Quartz Calacatta and the Quartz Pompeii Icicle look very much like marble, except it's more durable and low maintenance compared to actual marble. Quartz kitchen countertops in Orlando are a great option for any home, and they will add elegance and beauty to any kitchen and living area. We have many options in terms of color and countertop edges, and our team at Stone World will work with you closely to make sure that we achieve the perfect look for your home or business. 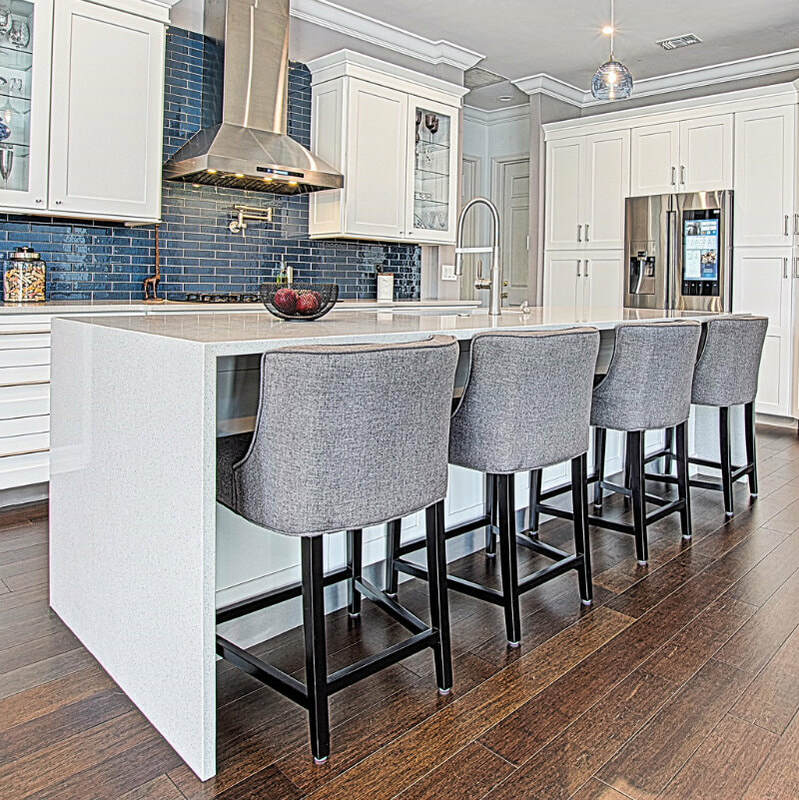 We also have a substantial portfolio to choose from, with many great options so you know exactly what you are getting as well as giving you ideas for the perfect Orlando quartz countertops to make your home ready for a "Good Homes" photo shoot! For our corporate clients, you might have a conference room in your business where you meet with many important clients. Adding a quartz table top to your main conference table will instantly add a touch of professionalism and refinement that will completely change the feel of your room. Our corporate clients are always extremely impressed with how the addition of a natural stone table top can really change the perception of an office setting, and give your business a new level of importance. 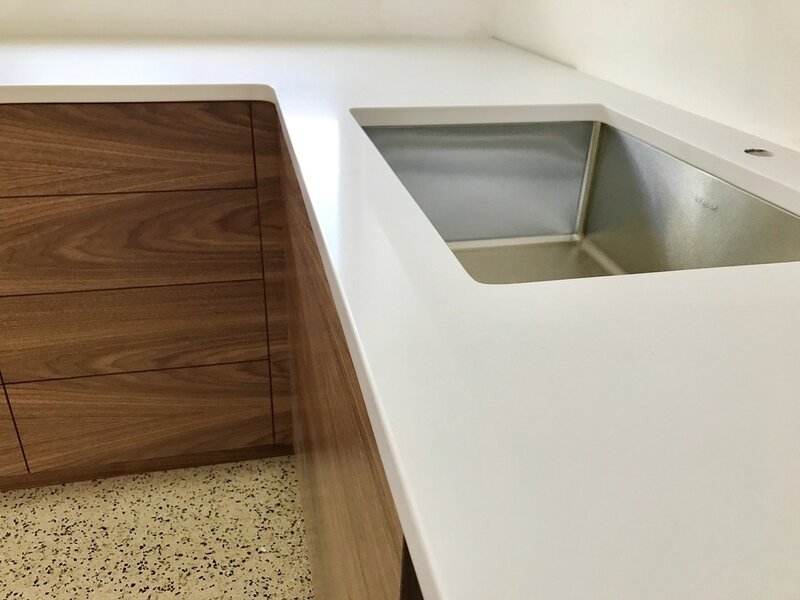 We can often take a rather bland and unimpressive conference room, and by adding a quartz tabletop as well as quartz on the perimeter counters, we can give the room a serious overhaul that will instantly exude professionalism, elegance, and success. Quartz is a very durable and resistant stone that is non-porous, so it resists staining better than even granite, marble, and concrete. 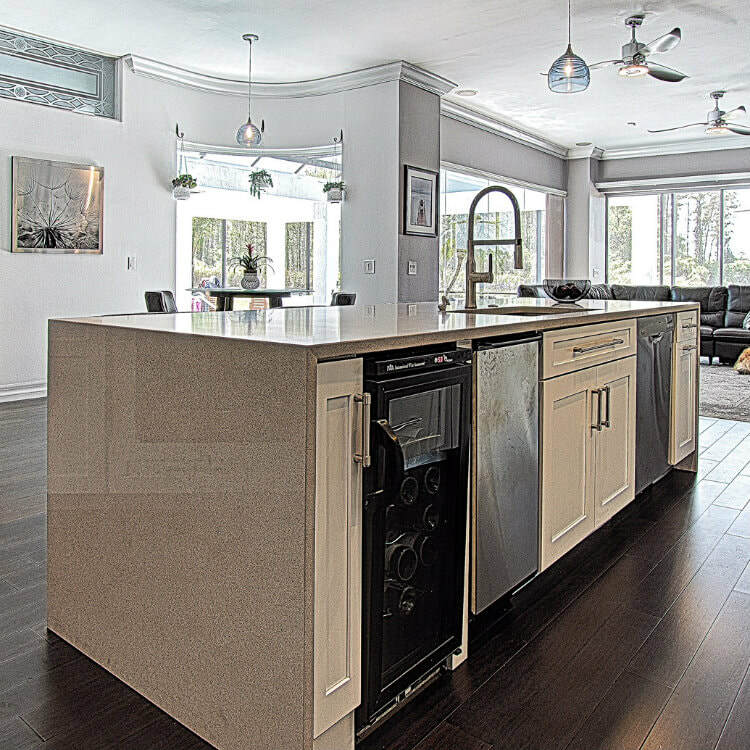 Quartz countertops are composed of 93% quartz stone, and 7% resin, which results in an extremely hard stone that is stronger than marble or granite. So if you entertain a lot in your home, this might be an excellent consideration as it will resist coffee, juices, wine, and other potential stains. And because it is non-porous it is also an extremely clean and sterile surface that will not harbor bacteria or viruses. So this might be another consideration if you have a large family and young children who like to run around your home with grape juice! Contact Stone World today at 407-341-4688 for a free proposal. 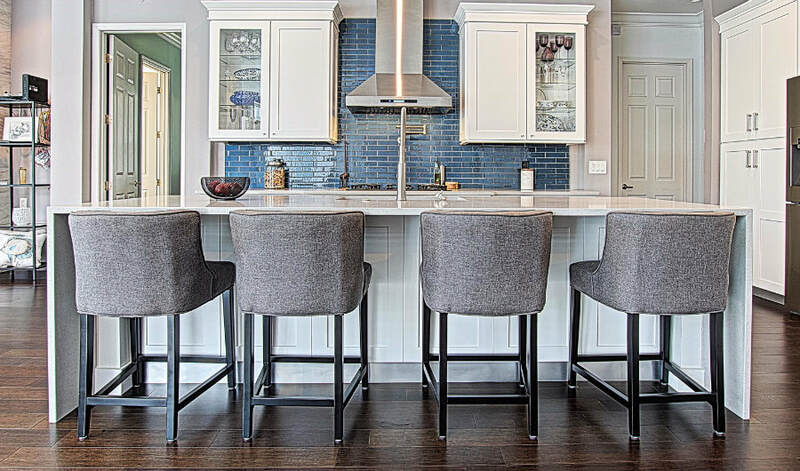 We work closely with our clients and would be glad to come to your home and talk through all of the options available to you to make your home the most stunning in the neighborhood!